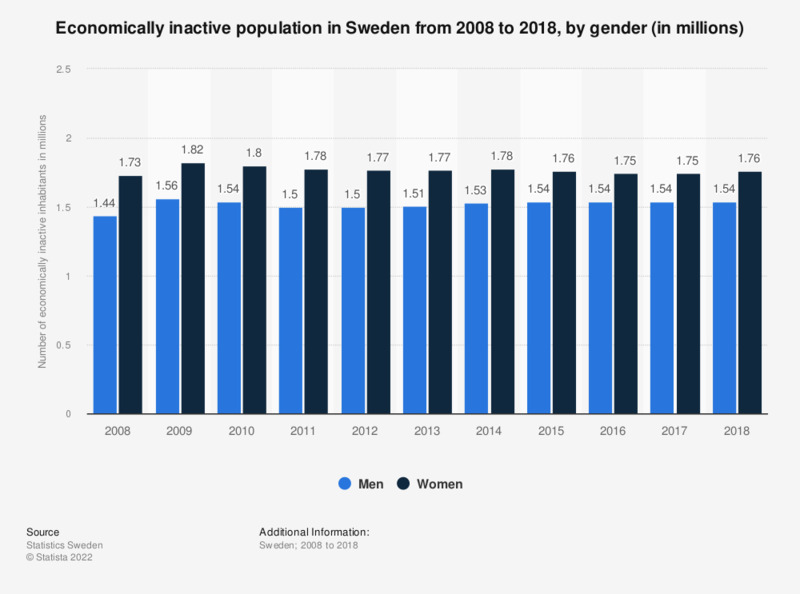 This statistic shows the number of economically inactive people in Sweden from 2007 to 2017, by gender. There were more women than men among economically inactive Swedish inhabitants during this whole period. Both gender groups increased in number compared to the beginning of the period. In 2017, there were about 1,54 million economically inactive men and 1,75 million women. Economically inactive refers to inhabitants who are not gainfully employed.